There isn't much blooming so I went back to January of 2014 for a seasonal flower shot. 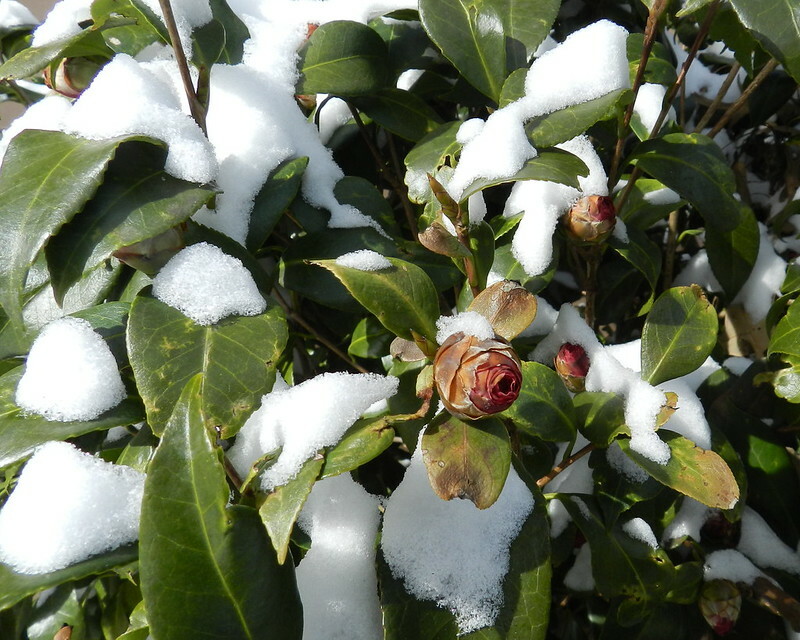 The camellia buds got ahead of themselves last year but I think they are pretty in the snow. We haven't had any snow yet this winter. Welcome you in the New Year! Beautiful picture. She will next spring and will shower a wonderful bush flowers. Happy New Year~hope you had a great holiday. Beautiful shot - I wonder if we'll get much/any snow this winter? That is a lovely photo Carver and thank you for going into your archives for this one. Happy New Year! Very pretty! Enjoy your weekend! Very pretty with that bit of snow, Carver! Beautiful! Camellias are wonderful in any stage.